Guiding our children to shine their inner LIGHT by being our absolute best! About 2-3 times a year I like to set up a week-end play date for my 1st graders. I find that it helps to build community and teaches them that Mrs. Savini is a real person who doesn’t live at school! I asked the kids what they wanted to do and they wanted to see a movie, so we looked at the upcoming listings and chose ‘Frozen’ as our week-end play date. Today, my son and I met my students and their families for a viewing of Frozen at the local theater. 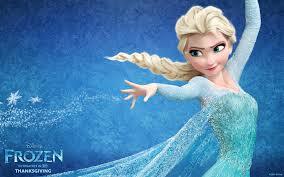 Frozen is a beautiful movie about two sisters learning some tough lessons in life. In the very beginning of the movie, Elsa, the older sister is chanting, “Conceal, don’t reveal” because she has been taught to do this to hide her magical powers-her true self. Of course, this was breaking my heart to listen to because I teach children and adults the exact opposite; believe in yourself and speak your truth! My eyes filled with tears, I smiled and replied, “That’s a really great message isn’t it?” He nodded yes and hugged my arm. Somewhere inside of me I knew that wasn’t the only message. I felt that there was more to be revealed and I was right. By the end of the movie the deeper message was revealed; Fear will destroy you and love conquers all. This movie couldn’t have been more in line with my teachings and beliefs. I honestly didn’t plan this, but I am so thankful to the Universe for orchestrating this magical week-end play date. You see, every day I strive to teach children and adults to allow love to guide them instead of fear and this movie just gave me another teaching tool! I highly recommend seeing this movie with your children. There were several beautiful messages throughout the movie, but most important is that ‘Love conquers all’.